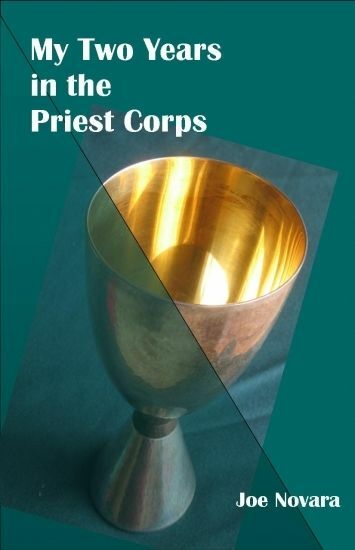 My Two years in the Priest Corps is one insider?s answer to the question, ?how do priests get that way?? From elementary school aspirations, to theology studies in Rome during the Second Vatican Council to eventual disaffection with the Catholic Church, I focus on larger life lessons arising from my personal experience of the ministry rather than reminiscence for its own sake. The book attempts to convey the complexity of the times along with the emotional and political context of the tectonic changes happening in the Catholic Church in the 1960s. I?ve embedded short stories, a letter, a poem and anecdotes along a loose time line driven by themes more than chronology. * This is a wonderfully comfirmational story to those of us who learn from life, and not just from books, teachers and institutions. * A very interesting read! I'm not Catholic and dont' know much about that religion but I found this fascinating. It really gave me a look into something I know nothing about and what it's like to have that calling. * A daring piece of work. * We too often think of religion as a one way, merge-only street that's never exited. But your experience mirrors in some small way my own, and that's comforting. others will come to it to satisfy their curiosity; most will find in its pages much enlightenment about the Church as institution. You might have lost your priestly vocation but you didn't lose your conscience.